My mother has a song for everything. By trade, she’s an elementary school music teacher, but she has loved music her whole life. No matter the situation, she can break into the perfect song to match the occasion. When I was a teenager, her songs sent me diving under restaurant tables in total embarrassment. 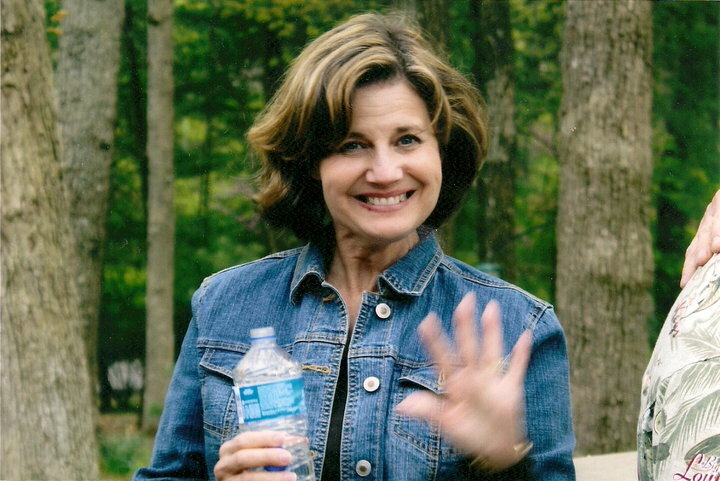 On her birthday once, my brother and I coined the phrase, “Living with you is like living in a musical…a bad one.” She laughed it off because, thank goodness, she realized it was the hormones talking, but it didn’t stop her from regaling her friends with the story. Even now when she breaks into song, twenty years later, her friends will quote, “Living with you…” and raise a hypothetical glass in toast to my mother. Adolescence wasn’t easy for me. Sidelong glances revealed my peers to be sailing through the tween and teen years without acne, awkwardness, or a mother who spontaneously broke into show tunes in the canned vegetable aisle. She wasn’t the cool, permissive mom either, much to my chagrin. 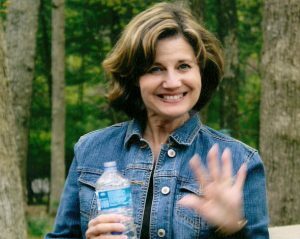 While my mother smiled and sang to her adoring elementary students and chauffeured us in her minivan each day, she was also on the cusp of ending her marriage with our dad who had been her college sweetheart. She was heartbroken, hoping to keep our family together, and simultaneously reading the handwriting on the wall. Yet, I only thought of myself. Today, I’m ashamed to admit how hard I was on her. I’m approaching the age she was when the wheels fell off her marriage, and at this juncture in my life, I can’t fathom her disappointment, her depression, her fear of the future, her desperate attempts to keep the lives of her children as normal as possible in the face of a divorce. Most people didn’t see her tears late at night, but I saw them. 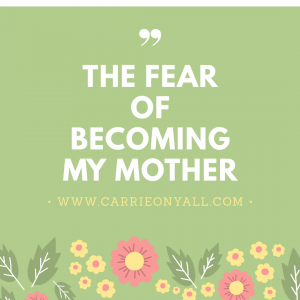 As a teenager, I feared becoming my mother. To me, she wasn’t cool, she didn’t allow me to run wild as I’d hoped, and there was always an embarrassing song, lurking in every scenario just for me. The songs were a source of her joy, a way to bring levity to any situation that became too intense. I see that now, too late to apologize for my teenage transgressions. At age 38, I have three children. My daughter is nine years old, and I recognize, not without trepidation, the eye-rolling happening in the back seat of my SUV. I have become the world’s least knowledgeable human being. As her tween years approach, I know that whatever she hands me can’t possibly be as ungrateful as I was to my own mother. I’m ready and willing to take my punishment after being the worst 7th grader in the history of time. My mom…doesn’t see it that way. She smiles as she recalls my adolescent years, chuckling about the eye rolls, the defiance, the anger, even gracefully accepting the dismantling of our family unit. “Look at me,” she says. “I’m so much better off.” And she is so right. She practically glows in her trendy jeggings and sophisticated tunic. My stepfather shamelessly adores her, and she walks with a lightness I didn’t always see. I smile with her…she has made lemonade from those sour moments years ago. I never apologized officially, but she has never asked me to. My mom is beautiful inside and out. Recently, I had an embarrassing moment in the grocery store. The store played some very good Motown over the loudspeaker as I shopped with my three-year-old. “You’re dancing, Mama!” he giggled, as he noticed my smooth moves behind the overflowing grocery cart. I gave him a funny twirl and sang the lyrics… “Ain’t no mountain high enough, ain’t no valley low enough, ain’t no river wide enough, to keep me from yoooooouuuuu….” He couldn’t smile wide enough. My mother would do this, I thought. I’m in the grocery store, and I’m singing and dancing to the music. Lucky for me, my three-year-old hasn’t yet discovered embarrassment of his mother. I hadn’t even noticed I was singing along. The instinct came naturally to me, and I immediately knew its source. I no longer fear becoming my mother. In fact, I embrace and celebrate all that is within me that came from her. I hope to someday be the mother she was and is. Life is better with a song, and I will sing unashamedly along with her. It took me too long to say this, but I hope to be like my mother someday. Love your mom and I love you also! Most teenagers do this. Mine did! We, as mothers, always forgive, forget and ask forgiveness for doing the same thing to our mothers! These days I look in the mirror and realize I have become my mother! Be glad when it happens to you! OH my sweet Carrie you are so precious! We always said what’s next mother? Then—- we became one. I remember telling my parents how ashamed I was for my behavior. I deeply regretted all my stupid mistakes I made as a child and I ask for their forgiveness . At the time I was a parent myself and hearing the same things from my own children. My parents were so wise and sweet they understood the cycle and so do I. We. See the beautiful and God lets us forget the bad and see life through a mothers heart. We all love your mother! She is an inspiration to everyone! I pray your Mothers Day will be as special as you and your family are. I so enjoy your blog! How lovely. I think you gave your mom one of the best gifts she’s ever received. Carrie, what a wonderful tribute to your amazing mom. I’d have to say the apple didn’t fall far from the tree. You make her proud! She is a gift to everyone who knows her and you have just given her the best Mother’s Day gift with your blog today! I have always wanted to have the strength and grace that my mom does. She is one tough cookie and I am so thankful for her example to follow. 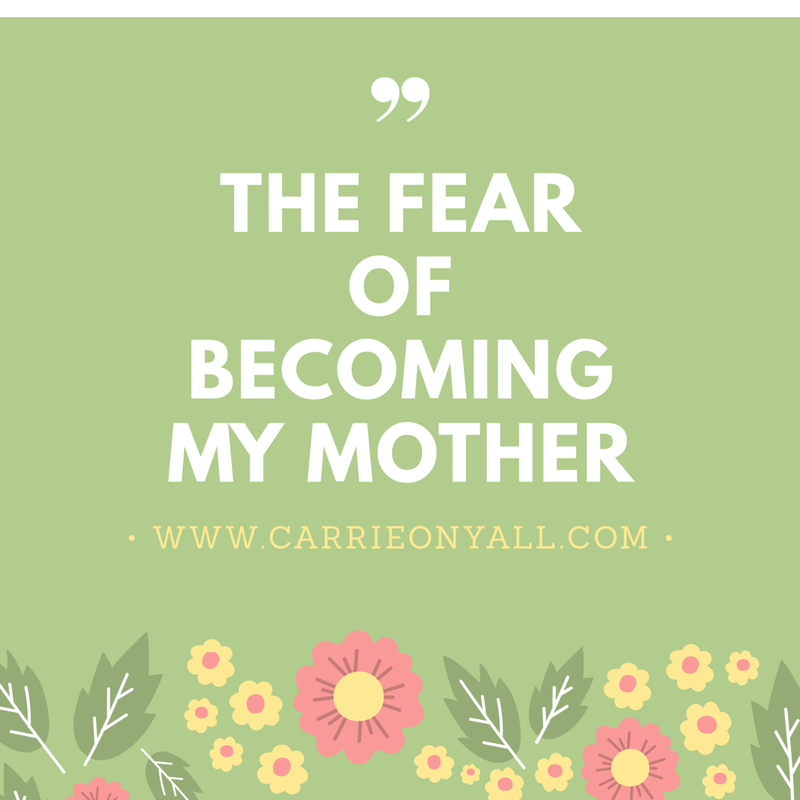 When I find myself doing silly things or saying something random, it hits me – I am becoming my mom…and that’s okay.